RECORD TIME: The deejay showcases growth and substance on his superb fourth album. 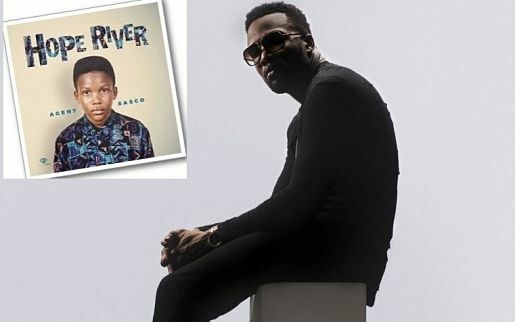 On Agent Sasco’s new disc, Hope River, there is a track called “My Song.” It’s an anthemic mid-tempo tune that lifts the spirit and gives you that ‘I-can-conquer-the-world’ feeling. In short, that’s the overwhelming vibe you get when you press play on the 14-track album. A hypnotic mix of rootsy reggae, rhythmic dancehall and nonstop positive energy, it’s a solid effort from one of the most outstanding voices working in the contemporary dancehall space. Almost two decades later, Hope River (his fourth studio album) is celebrating empowerment, gratitude, positivity and rising above the obstacles in your way. It’s responsible artistry. It’s substance. Other highlights: Dre Island’s smooth hook on “So Blessed,” on which Sasco remembers the one-room board house and seizing opportunities; Sevana’s sultry-sweet vocals on “They Will Rob You,” a cautionary tale that’s also about fighting for love; and “Passage of Time,” an excerpt of a 2004 interview with Buju Banton, one of the deejay’s idols. In many respects, Buju’s influence on Agent Sasco is undeniable – from the robust tone to the deep introspection and the keen observations that have become hallmarks of his craft.